What a weekend! 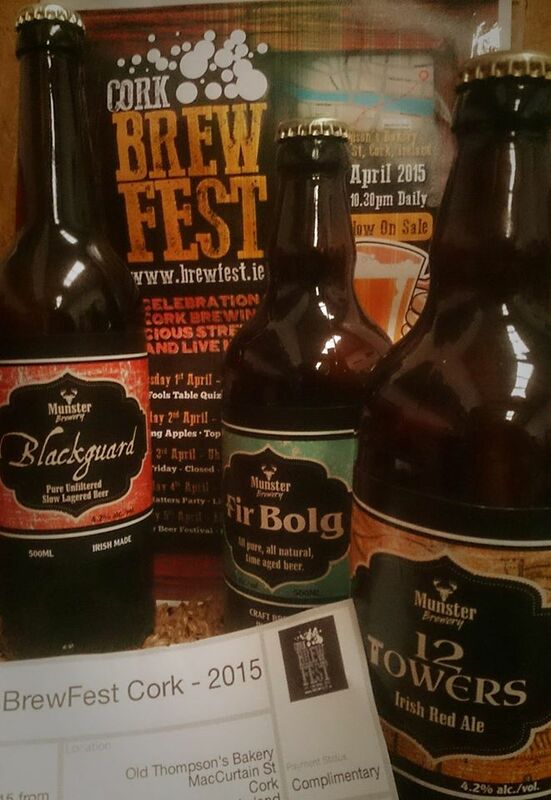 Spread over four days and extended into a fifth day, Brewfest Cork was our first Beer Festival. So it was a BIG DEAL. We signed up, not quiet sure what to expect. 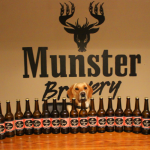 We were hyped to see our bottles appearing in the Evening Echo, Cork News, and Irish Examiner. 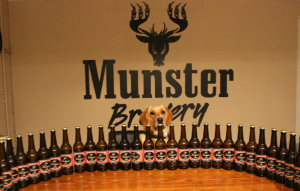 We were invited to a photoshoot with Miss Cork so we even put on pants. We loaded up on bottles, packed them into a van and headed off to the rebel city. We’d a few posters, some leaflets about ourselves. And a branded t-shirt. We needn’t have worried. We were drunk dry of Blackguard. It’s easy drinking, smooth and lightly hopped character went down well with the unseasonal sunshine over the Easter bank holiday weekend. 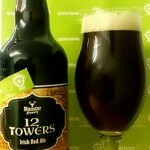 12 Towers got a great reception, challenging the perceptions of Irish Red Ales. Firbolg was drunk and drunk again. We were blown away. Brewfest opened on Wednesday evening. We restocked on Friday. And again on Saturday. What little we’d left we hauled up on Sunday. Rather sheepishly, we had to tell Brewfest we were thirsty ourselves and had no beer. They were gracious. The comments, texts and emails were so worthwhile. 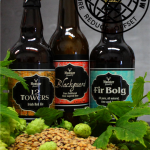 A real vote of confidence that we’ve chosen the right approach – brewing beers that are are natural, time aged and chemical free. Beers we want to drink ourselves. Beers we love ourselves. 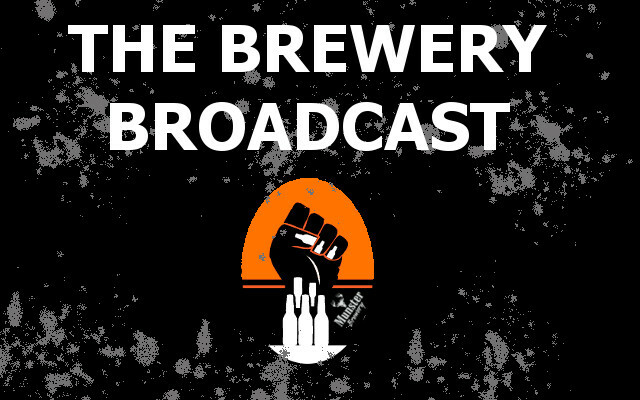 Our marketing might not be super snazzy but damit, our beer is. Brewfest was a great gig. The crowds thronged the place each night showing the demand for craft beer. 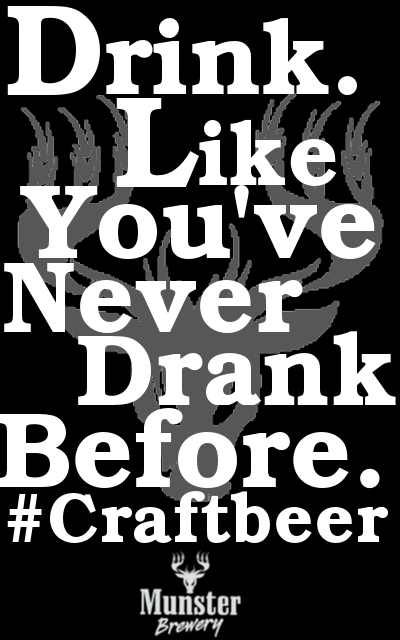 No longer bland boring beer marketed with slick advertising, but real honest beer you can swear by. 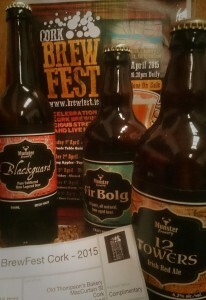 We won’t forget Brewfest Cork in a hurry. We had such a good time. The staff and organisers of it deserve a clap on the back. 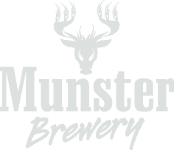 Up next for us is Killarney Beer Fest. We’re brewing extra already.